TORRANCE, Calif. - May 2, 2017 - TRENDnet® (www.TRENDnet.com), a global leader in reliable SMB and consumer networking solutions, has launched a new line of standalone DVR Surveillance Kits. The kits are a simple DIY surveillance solution for homes and businesses, offering a comprehensive video, storage, and management package, with remote video access capabilities. 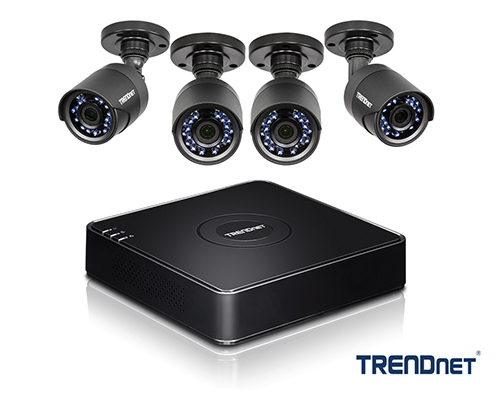 TRENDnet introduces the new product category with two new kits: the 8-Channel HD CCTV DVR Surveillance Kit, model TV-DVR208K, and the 4-Channel HD CCTV DVR Surveillance Kit, model TV-DVR104K. 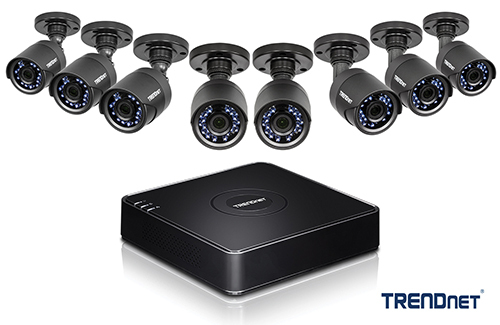 With all HD cameras, a pre-installed hard drive, and required cabling included (display required), TRENDnet's DVR kits include the hardware you need to build a new surveillance setup, or upgrade an existing one. DVRs for surveillance offer many benefits over traditional surveillance systems. DVRs do not require a dedicated PC or server. Centralized video storage and advanced video playback simplifies the process by allowing you to access and review all footage from one location. TRENDnet DVRs also support live remote access, including free mobile apps available for download on Google PlayT or the App Store®. "TRENDnet's DVR kits are great for users looking for a new surveillance system or to prolong the use of their existing BNC cabling or infrastructure, while simultaneously updating their surveillance equipment," said Evan Davis, senior manager of solutions engineering at TRENDnet. "Previously, CCTV cameras were unable to compete with the quality of IP cameras, but we now have Full HD analog cameras; this higher resolution footage is crucial to identifying and responding to threats or suspicious activity." The included 1080p Full HD IR analog cameras bolster a 66-foot (20m) night vision range and an IP66 outdoor weatherproof rating, allowing you to monitor what you value most any time of day or night. Each kit also includes a pre-installed 1TB HDD, with the ability to upgrade to increase storage capacity. TRENDnet DVRs auto-recognize TRENDnet CCTV cameras for a simple plug-and-play installation, users simply connect the cameras to the DVR and begin recording surveillance video. TRENDnet DVR Surveillance Kits are available online on the TRENDnet Store, or worldwide through authorized distribution and retail partners.